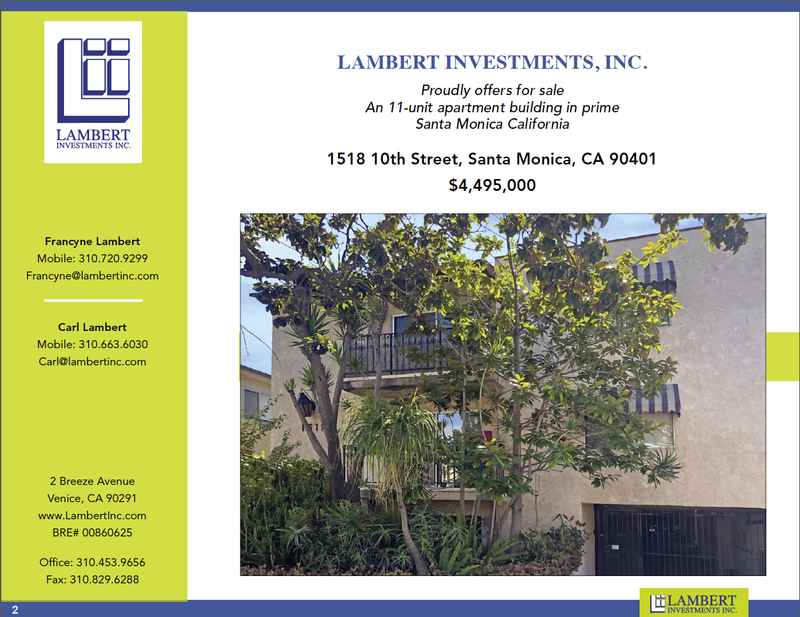 1518 10TH STREET, SANTA MONICA, CA 90401 - Lambert Investments Inc.
1518 10th Street is a well maintained 11-unit apartment building consisting of 10,008 square feet in the heart of Santa Monica’s bustling community. 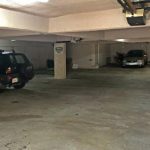 Great unit mix with ample parking, 8 subterranean parking in front along with 10 tandem spaces in rear off the alley. There are 10 private balconies and lots of storage. 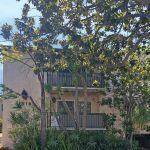 The Soft Story Retrofitting is in compliance with the ordinance and no further action is required. The building is very clean and stairways have been resurfaced. 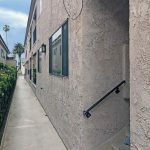 Prime Santa Monica location, in one of the most high-demand and desirable rental areas in California and the United States. Santa Monica is known for our beautiful beaches, shops, restaurants, and evolving employment hubs. Home to the Santa Monica Pier, The 3rd Street Promenade and Bergamot Station with numerous galleries and nightlife. 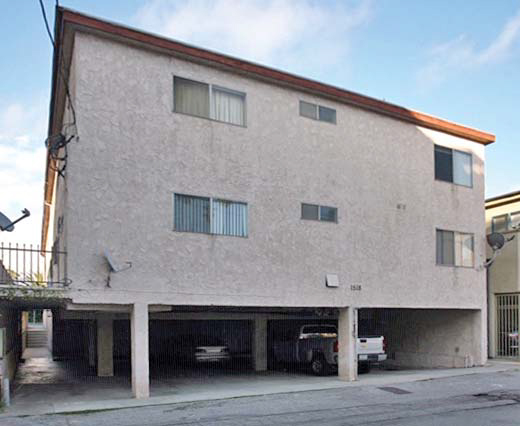 The rental market continues to grow and thrive as tech giants expand to Silicon Beach. 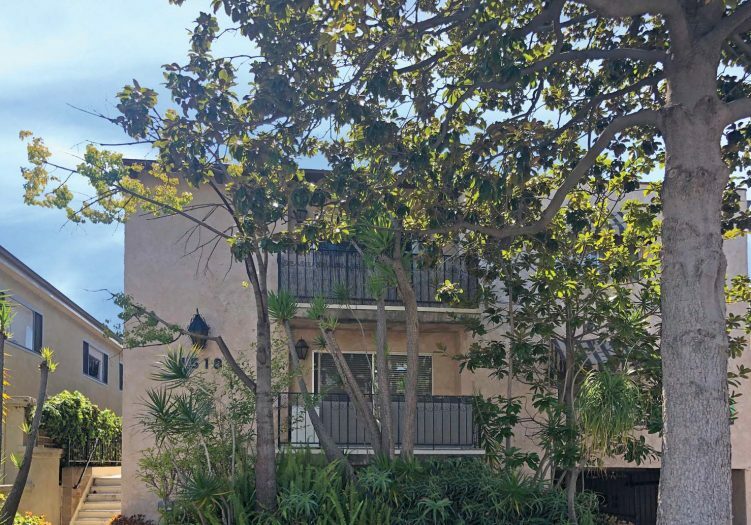 Located in the desirable Santa Monica Malibu Unified School District and close to Santa Monica College. 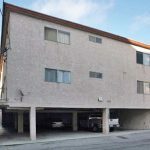 Centrally situated between Santa Monica’s happening office parks. Close proximity to the new Metro Station and within a short train ride to many destinations. Santa Monica continues to be a growing vibrant diverse economy. Silicon Beach is headquarters to many high profile entertainment and technology corporate firms. 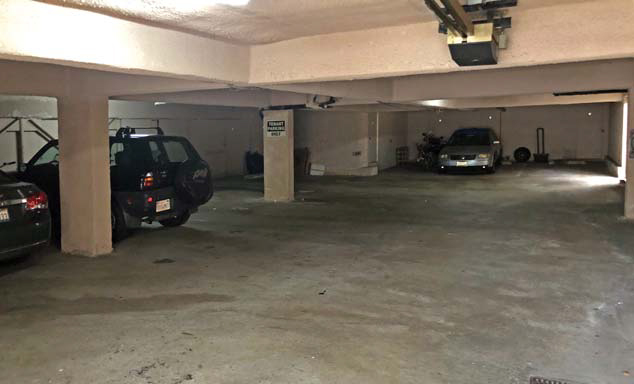 Located in the happening, world-renowned Silicon Beach. 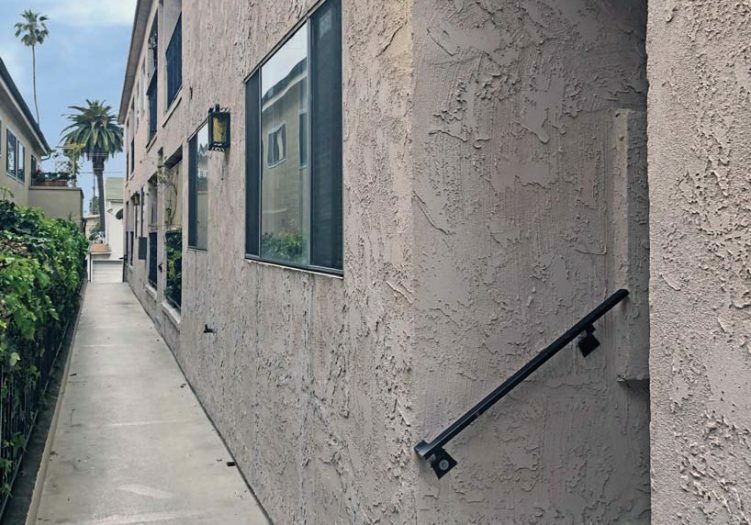 Close to neighboring communities of Prime West Los Angeles, Brentwood, Westwood, Pacific Palisades, Marina Del Rey, Venice Beach, Playa Del Rey, and Playa Vista.